GarageDoorsStore stocks a continuously expanding inventory of garage door components that is unparalleled in the area. 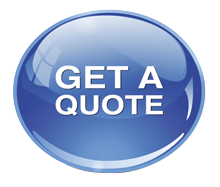 We not only supply parts from leading brands, but also have generic parts that are inexpensive and of high quality. In and around Northfield, there is no better place to go than GarageDoorsStore for garage door hardware, components, weatherproofing and other needs for nearly every type of garage door available. 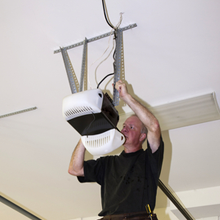 Comprising an integral part of any garage door system, garage door springs assist in taking on the weight of garage doors when they are raising and descending, so when garage door springs become damaged, doors can quickly jam and lose their mobility. For a complete array of garage door spring parts such as extension springs, torsion springs and springs for custom assemblies, look to GarageDoorsStore. Garage door specialists from GarageDoorsStore can expertly advise you on springs that best fit the particular type of garage door you own and how to keep the springs functioning properly. 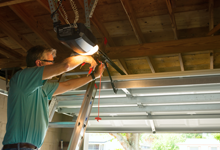 No matter what type of spring fits your garage door, our technicians can quickly and efficiently repair or replace them, including extension springs, torsion springs and other types of nonstandard springs. Look to our trained specialists for advice on the best springs to use in your garage doors and how to perform periodic maintenance. 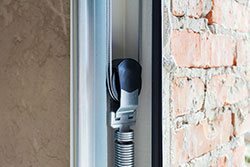 Torsion springs connect to metal bars which are affixed over the top of garage doors, and they assist in stabilizing the weight of the door by transferring the pressure to the bars. At both ends of these metal bars are spools of cable and the spring and cable mechanism pulls open the garage door. Torsion spring systems are designed to handle loads that would otherwise be impossible to lift, and the size of the wire, the length of the spring, and the inside diameter determine how strong torsion springs are and how long they last. Garage doors in residences normally have one or two torsion springs, but larger and heavier commercial garage doors usually need additional springs to operate safely. Extension springs are installed within the doorframe or pulley mechanism of garage door systems, and when the door raises up and lowers down, the springs stretch out and contract to help to accommodate the weight of the garage door. These springs assist in counterbalancing the garage door weight by pulling as the spring contracts, which forces the door upwards. Extension springs and torsion springs deal with a great deal of pressure, and it is imperative that only professional technicians service them. Other parts of garage door systems that are vulnerable and subject to abrupt breakdown include garage door springs. These have specific designs that put them under enormous amounts of pressure, sometimes amounting to a ton or more, as they help carry the weight of the door. If garage door springs break, the door can lose its support and abruptly fall to the ground, which of course can be extremely dangerous. This makes it of the utmost priority for our clients to maintain garage door springs in top working order. For the maintenance and repair of garage door springs, call on our technicians at GarageDoorsStore, who are specialists in ensuring the safety of your personnel and garage area by seeing that the springs are always in excellent condition.